At the beginning of the 20th century, Laurier had to address Canada’s economic development. At the time, Laurier’s Liberals were in favour of trade relations between Canada and the United States. For this reason, Laurier knew that an alliance with the United States was inevitable. In the fall of 1910, Wilfrid Laurier and President William Howard Taft of the United States negotiated a reciprocity agreement. Laurier was probably one of the first Prime Ministers to talk about free trade with our neighbours to the south. He believed that opening up trade would allow manufacturers and farmers to increase their production and sell their commodities to our neighbours. Canadian residents were, in large part, opposed to this agreement. They feared annexation by the United States and the loss of Canadian independence. To sign the agreement, Laurier and his followers negotiated terms that would please the producers and draw the least possible criticism from the rest of the population. In the trade exchange, Canadian producers of natural goods were privileged and manufactured products authorized to an acceptable extent. After much negotiation, Canada signed its first reciprocity agreement with the United States on January 26, 1911. In Laurier’s opinion, Canada got the better part of the deal. The Prime Minister was satisfied, but Canadians were not. They let him know during the election of September 21 that year. 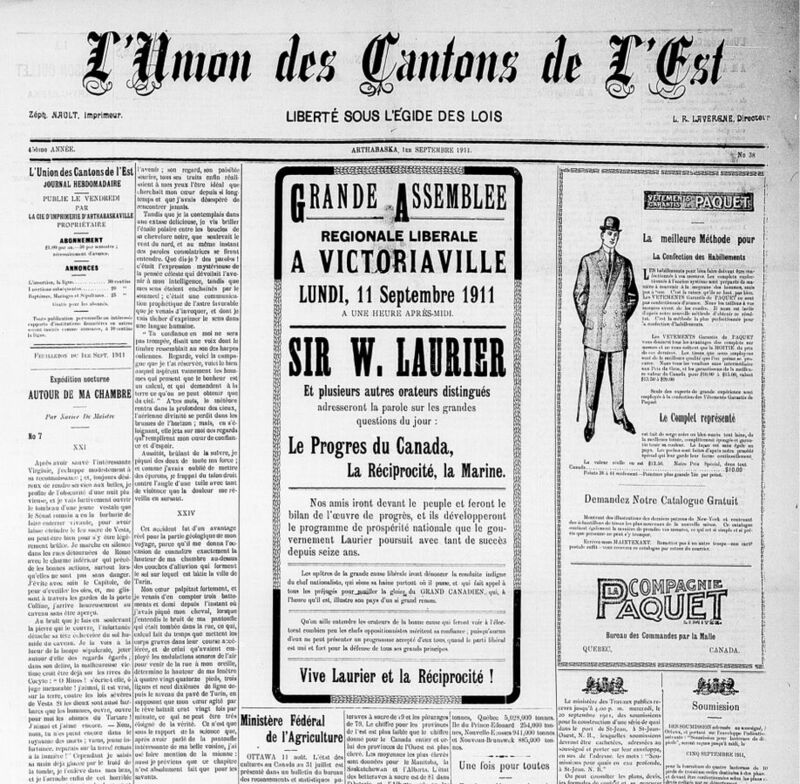 In large part because of this agreement, Laurier lost the governance of the country, left the Prime Minister’s chair that he had occupied for 15 years, and returned to the official opposition. 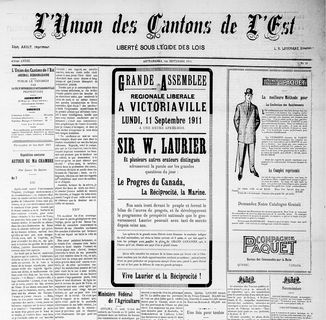 Up to the end of his political career, Laurier would never again take power. The United States must become an ally of Canada that continues to maintain many ties with its homeland, England. André Pratte: At the time, the challenge facing Laurier consisted mainly of determining where Canada would be situated economically. Would it draw closer to the United States which was experiencing a post-civil war period of extremely rapid development? Or would Canada remain tied economically to England, since during this period, Great Britain was a great imperial power? Like the other politicians of his era, Laurier would truly have to navigate between the prosperity and emerging power of the United States and the attachment of businesses, and the emotional attachment of Anglophones, to the British Empire. This would prove to be very difficult: being drawn to the south, but also experiencing very strong ties of all kinds with the British kingdom and the British Empire.